Written on May 31, 2018 . Posted in News. Old Trafford-based merchandise distributor restructures ahead of further growth. AD Merchandise have successfully completed a partner buyout, giving Amo Singh full ownership of the promotional merchandise distributor based in Old Trafford, Manchester. 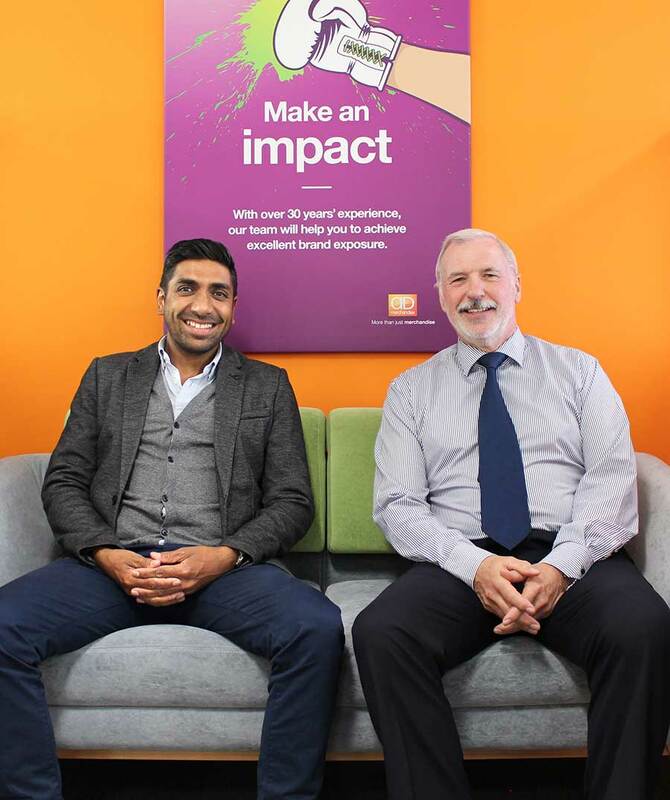 Having grown the business to a turnover of £3.5 million alongside co-founder David Moodie, the deal comes as part of a planned restructure to unlock the company’s next chapter of growth. Amo and David established AD Merchandise in October 2009, bringing together decades’ worth of experience and a passion to develop a profitable business with solid systems and processes and robust, ethical management. Since then, the company has grown to 16 people, achieved ISO 9001 and 14001 certification, and become one of only a handful of UK companies with BPMA (British Promotional Merchandise Association) Charter Status. A planned exit for David was in the business plan from the outset, and the founders’ commitment to upholding service, quality and environmental standards has enabled them to achieve this ahead of AD Merchandise’s 10th anniversary. “I’m thrilled at the completion of the deal and I know that Amo will continue to run the business to the high standards we set ourselves,” says David.